Having recently returned from the Inbound 2015 conference (#Inbound15) I’m still putting into perspective the news and announcements from HubSpot and the events that inspired 14,000 of my new closest friends. One of the highlights for me was sitting down with HubSpot executives and our HubSpot government clients. While HubSpot was built for the small and medium sized businesses to help drive sales, and automate marketing tasks, the platform has become an increasingly valuable tool for government agencies seeking to create a Citizen Centric Journey. 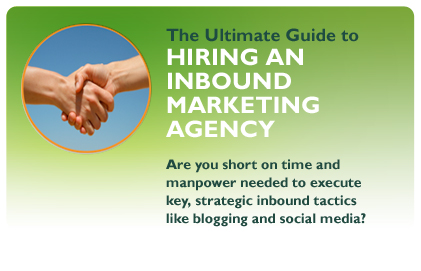 HubSpot Reporting This is a huge boost for government clients. Government is large (for better or worse) and they have to make sure they are properly servicing citizens. Enhanced reporting will provide government an improved ability to service constituents. HubSpot reporting features numerous common reports out of the box but Enterprise also allows for custom reporting -- including the ability to report on many HubSpot integrations. HubSpot Ads Add-on Policy may not support the use of Ads but this is one of my favorite new features because it provides an integrated capability. Marketers time is precious so being able to measure ROI (return on investment) from within HubSpot is huge for any marketer. HubSpot Ads launched supporting Linkedin ads and more are coming with Google AdWords already in Beta. As a Google partner with numerous AdWords clients I can’t wait! In my talks with government agencies, Ads can be a touchy subject but I see the use for instance if they help government achieve their mission goals. Armed Forces recruiters use ads to attract top talent and I would bet that the Census will be using Ads to build awareness as we lead up to 2016. HubSpot Predictive Lead Scoring Agencies can benefit from automatically lead scoring available in HubSpot Enterprise. HubSpot analyzes the behaviors of constituents who convert thereby helping to improve the overall citizen journey and identify and confirm journey paths to information. If public servants can more automatically determine how to better serve up relevant content to constituents need we all win. HubSpot Connect Expanding on HubSpot’s stable of third-party integrations, HubSpot Connect adds new sources of data to help public affairs and communications better use automation to serve relevant content to visitors and constituents. For example, a public affairs official can trigger workflows and customize site content based on someone attending an outreach event or contacting the help desk. With the expanded reporting engine agencies can now determine how their activities are measuring up. Of course HubSpot already hosts blogs and landing pages but they also host Websites and their new and improved Content Management System (CMS) allows non-technical content creators to quickly and easily launch a website quickly and efficiently. HubSpot CMS Smart Content Insights puts information from your constituent database right in the page editor so that public affairs and communication specialists can create quality content that drives results. Many government agencies are tasked with working with the community and creating great content that draws the community members closer helps community businesses and members get and stay engaged. HubSpot expanded their offering on the sales tool side including enhanced integrations between HubSpot, Google Apps Gmail and Salesforce.com. One of the biggest time savers for government employees is HubSpot Sequences which was announced as “automation for sales”. What this is for government is the ability for each individual government employee to quickly and easily create a sequences of emails. What this means is that in one short sitting, an individual can compose a string of email sequences that ensure citizens and constituents are getting the service they expect and require. Let’s say for instance the Small Business Administration is promoting a local event with SBA and industry thought leaders. The person in charge of the event can, in one sitting, set up all of the necessary communications and schedule them out in a very personalized manner -- those communications or citizen touches, may include the original event invite, the confirmation email, reminder email, thanks for attending or sorry we missed you email, and any other follow up that may be helpful. When Brian Halligan, the CEO of HubSpot, spoke he said talked about the new sales tools being “good for the customer, AND good for the salesperson”. In government terms, the sales tools are good for the government employee AND good for the citizen ... and that means they are good forthe taxpayers (us! ).